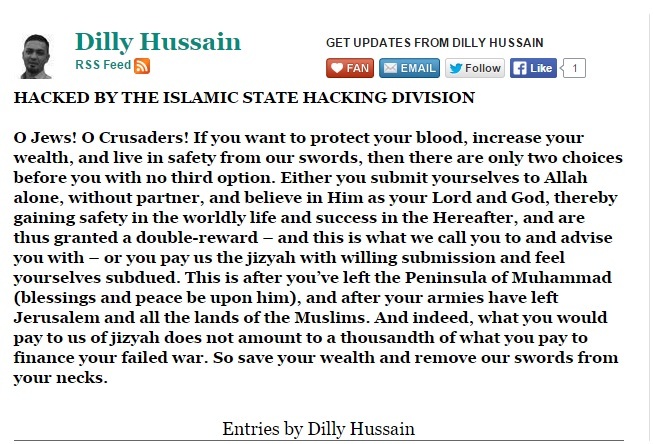 The Islamic State supporters reportedly hacked into the Huffington Post page of contributor Dilly Hussain. ISIS hacking division claimed responsibility for the attack. Hussain is a staunch supporter of Islamic causes so it’s not clear why ISIS would hack into his account.